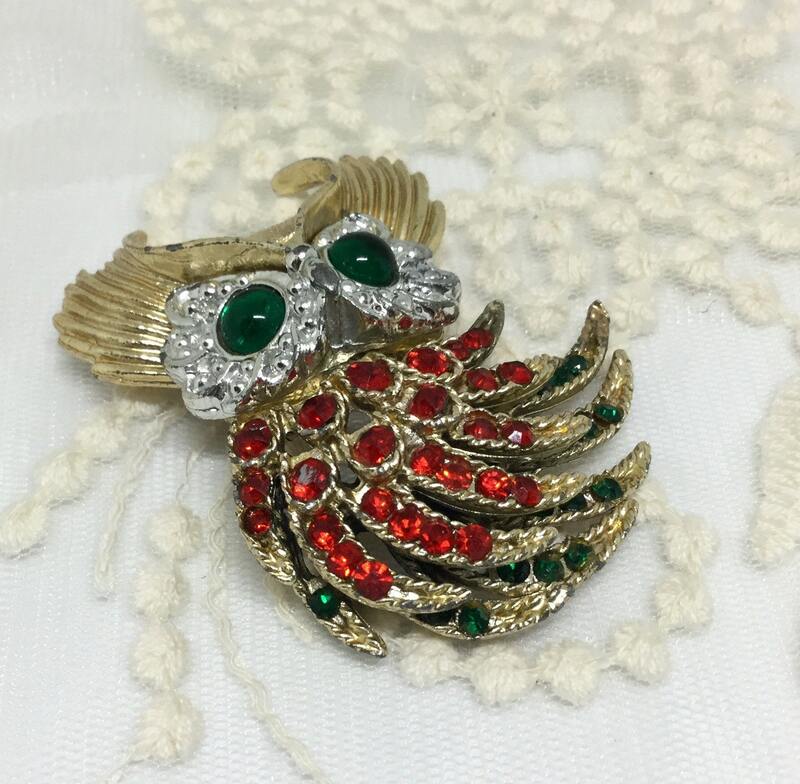 This is a 1960s vintage goldtone and silvertone unsigned sweet looking owl brooch. 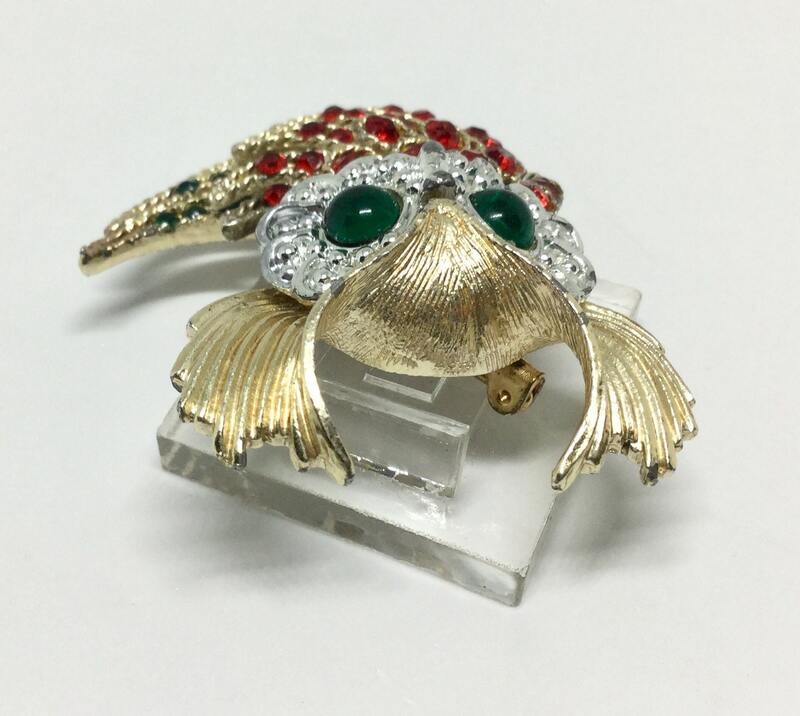 The goldtone metal is his feathers and head over his eyes. 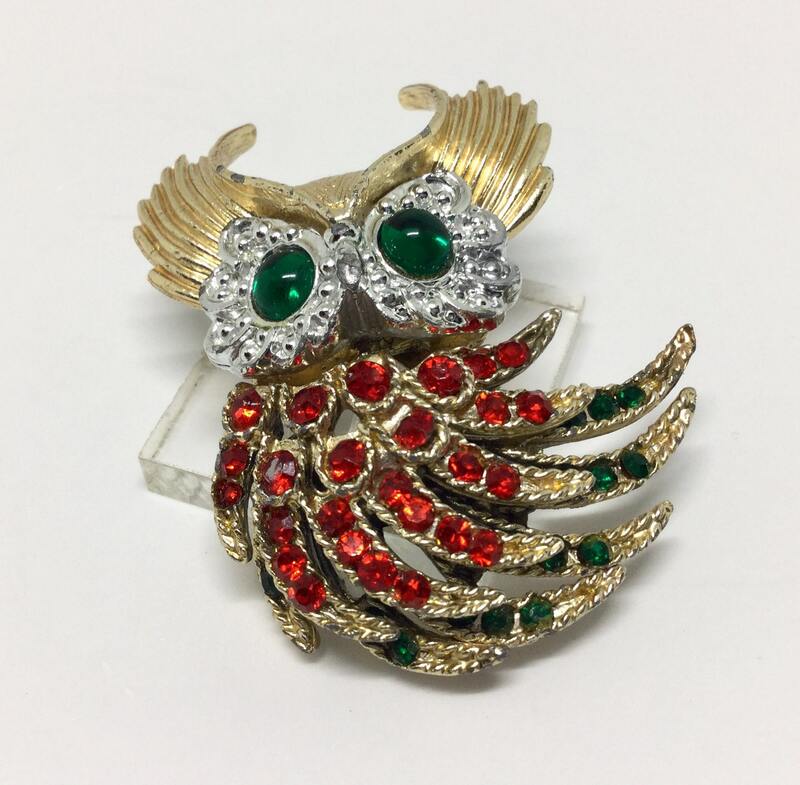 The silvertone metal and beading is the area around his eyes which are green cabachons. 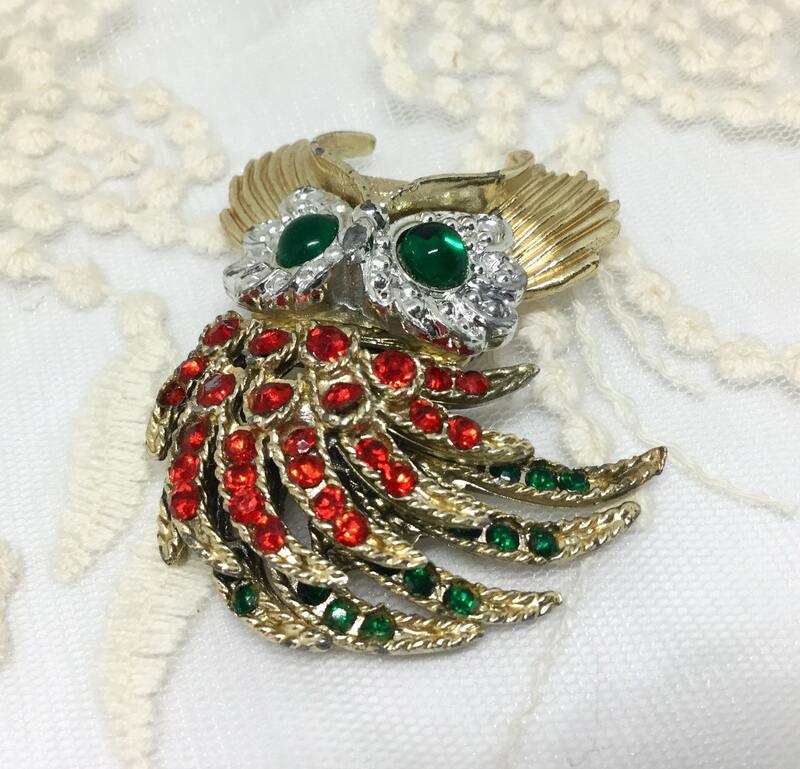 The rhinestones in his feathers are red and green. 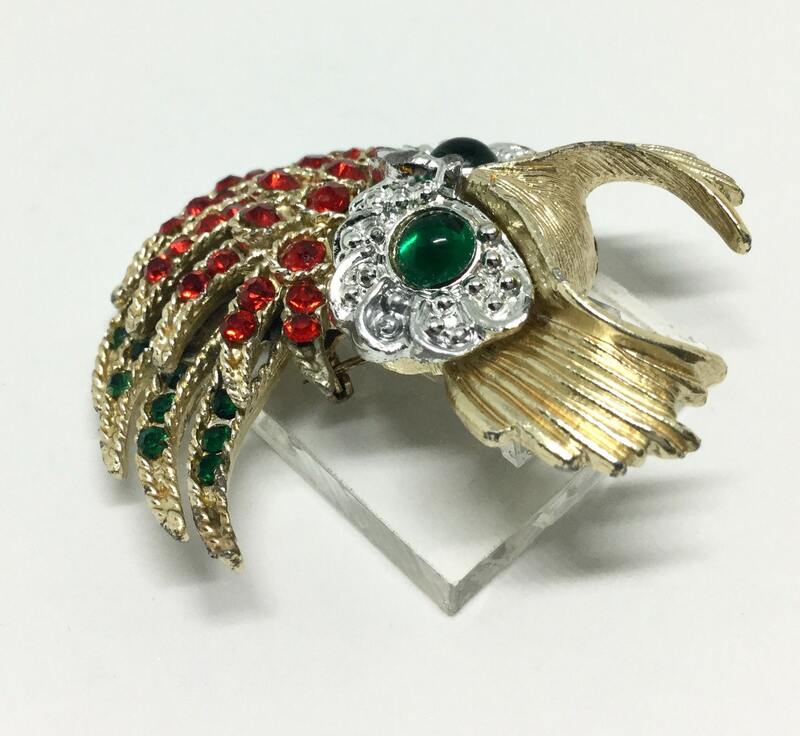 The lower feather area with the green rhinestones is articulated and moves. 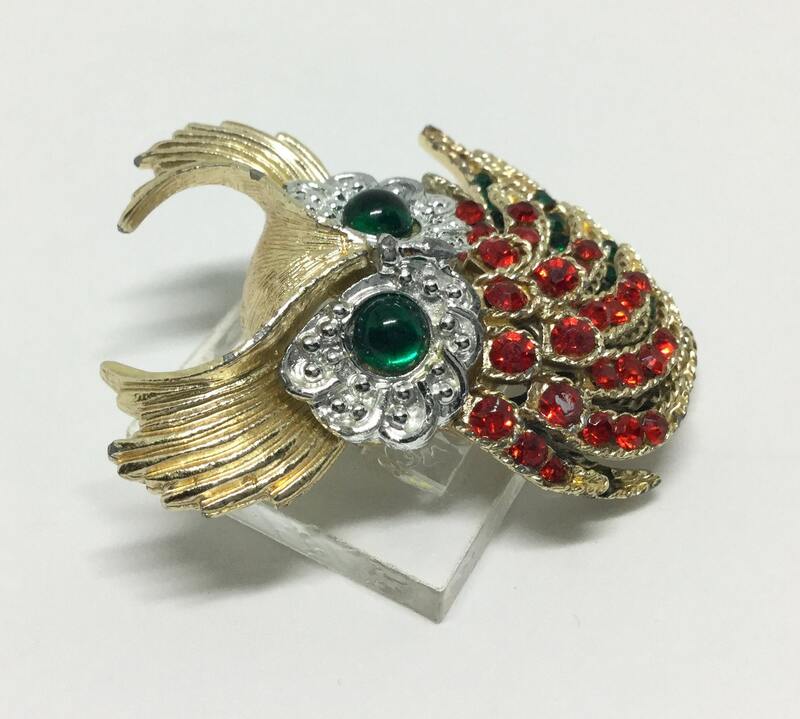 All of the rhinestones are present and paste set. It measures 2 1/8” x 1 3/4” and the pinbak is straight and works smoothly and securely. The pin moves slightly where it is riveted but is still secure, stable, and works well. 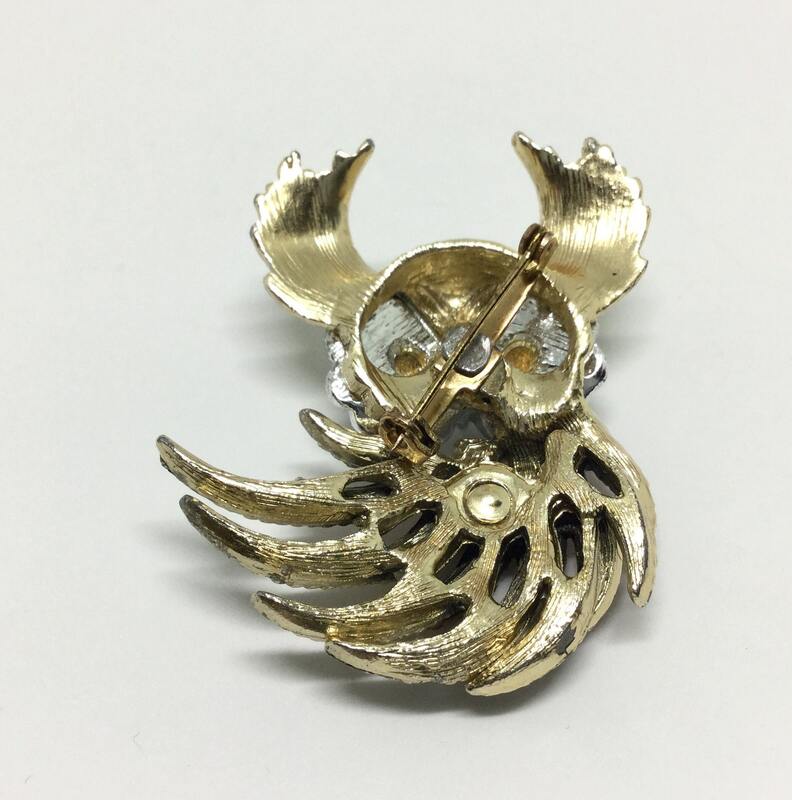 There are some tiny wear spots on the goldtone brow above his eyes but not really noticeable when wearing. 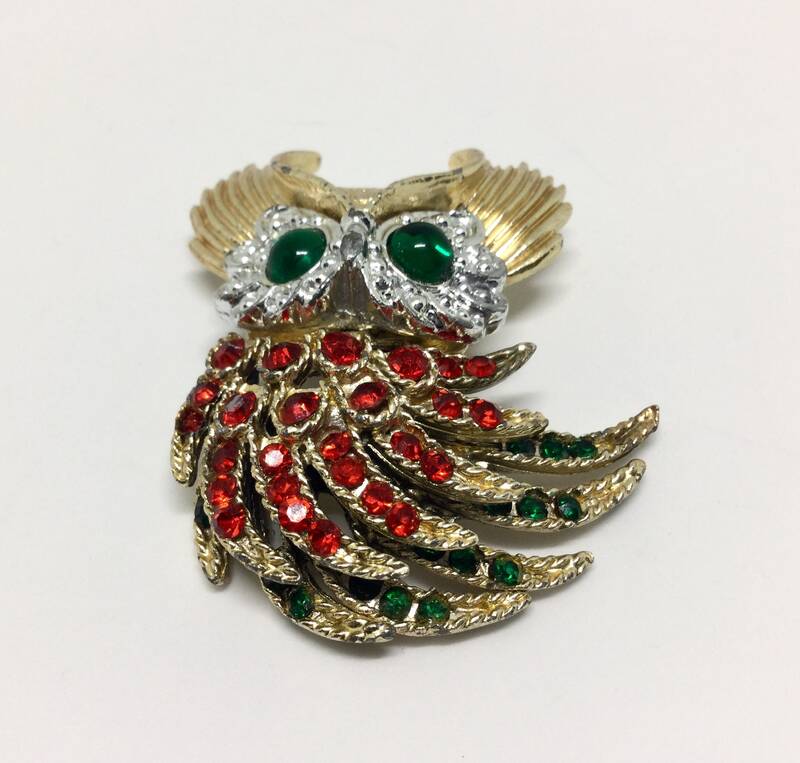 This is a cute old owl with lots of character that needs a good home!